I grew up riding horses. Chanel Cuir de Russie is the archetypal Proustian Madeleine that hurtles me back through the corridors of time to the simple pleasure of resting my face against the neck of a sweaty horse. It is THE classic floral leather. We grew up in a family with lots of kids and very little money, so I begged, borrowed, or stole horses to ride on whenever I could. I did hard labor on a farm in exchange for rides on a fat, bad-tempered pony, and when I outgrew him, my dad drove me to the nearest racing stables and volunteered my services. Now, looking back, it might not have been the safest or wisest of things to glibly offer your thirteen-year-old daughter to a working racehorse stables in Ireland. Those places are rough and the horses are dangerous. I would sit precariously perched, knees up near my ears, on over a thousand pounds of fast moving horseflesh as they galloped 35 miles per hour around a muddy track or down the beach…..looking back, it makes me shudder. But then again, my dad taught all four of us kids to swim by picking us up and throwing us into the Irish Sea and yelling “Now SWIM, you little feckers!” so maybe I shouldn’t be that surprised. Anyway, there was this wonderful, quiet moment every morning that I would cherish – after racing the horses on the beach, we would take their saddles off, throw the reins over their heads and lead them into the sea to cool their legs down. There, I would lean in and rest my face against the flank of the horse, dark and wet with sweat. Often, the sweat would lie in creamy rings looping around the flesh where the English saddle had been, so your nose would be taking in the smell of leather and sweat at once. I loved that moment, and now I wish I could get that simple sort of peace again – the sort of exhausted peace that exists between two animals who have taken exercise together. At home, I would often have no time to get ready for school, so I would just wash my arms, neck and face with Imperial Leather soap, and head off to school. Cuir de Russie smells like me and this moment in time – horsey, vaguely dirty/sweaty in a clean sort of way, creamy soap, warm horse flank, and the underside of English leather saddles freshly lifted off a horse who has run five kilometres up and down a beach in County Wexford, Ireland. No more, no less. I can’t identify or dissect any of the notes in this beyond the soapy aldehydes and the soft, vaguely floral leather, and I can’t for the life of me imagine how you go about reconstructing a horse in such 3D glory using the simple list of notes I see for it. In fact, I would rather remain in ignorance for fear of breaking the power it has to conjure up that memory, just like I imagine Proust didn’t bother asking his housemaid what type of butter and what type of flour went into making his Madeleine. I am simply glad that this exists in the world. Thanks, Ana – I agree, this one is a keeper! It must be an Irish thing, because my father did the same “swimming lesson” to us, to the horror of my American mother. I lived next to this woman growing up who was the last in the line of a noble Russian family that fled to Paris during the revolution and later to the US during the war. Her house was dark, stuffy and full on antiques. The family had clearly fallen on hard times but still had their lovely manners and dignity. Every time I smell Cuir de Russie I think of her small dark cluttered parlor. Well cared for but old leather sofas, old books, always flowers in a vase, the slight smell of decay and earth. I wonder now if she wore this perfume and that is why I have the connection, but is a lovely memory and a lovely scent none the less. Lyssa, thank you so much for finding my blog and commenting! So sorry it has taken me so long to see and reply to your comment – I didn’t realize that my WordPress puts all comments into a queue for me to approve. Anyway, I loved your story about the Russian emigree and the smell of her dark, stuffy rooms, and how Cuir de Russie brings it back for you. 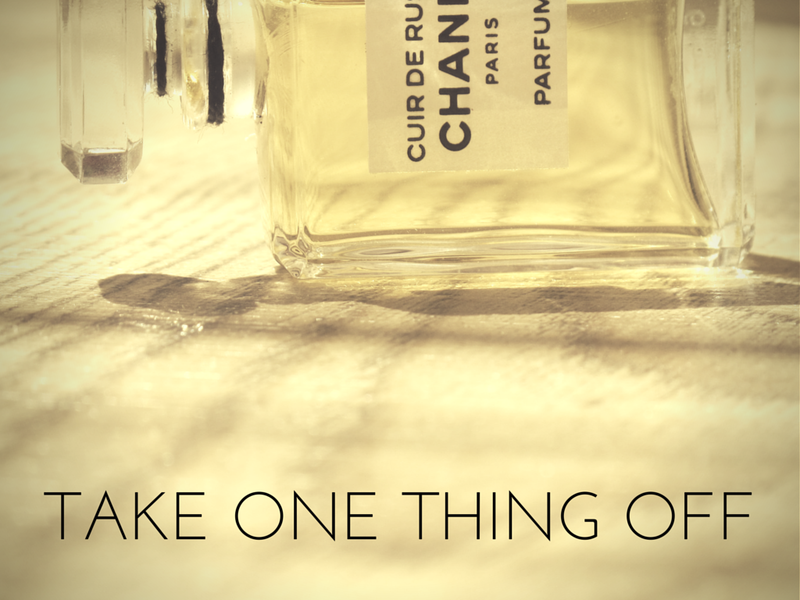 Isn’t the evocative power of fragrance incredible? That one perfume says horses on a beach to me, and stuffy rooms to you….